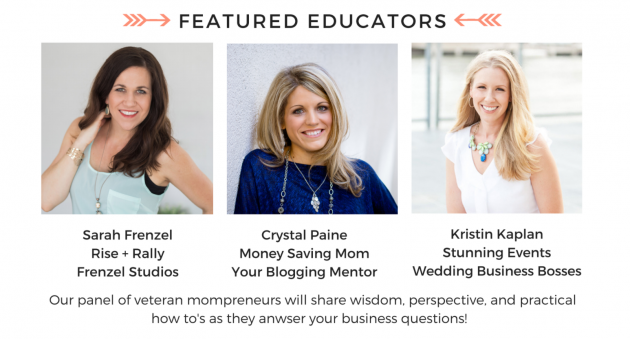 Join me for a FREE event for mompreneurs (Nashville, TN)! Are you a mompreneur? Do you live within driving distance of Nashville, TN? If so, I’d love to invite you to join me on August 17, 2017 for a put on by my friend, Sarah from . I’ll be speaking on a panel with Sarah and Kristin and we’ll be sharing lots of practical encouragement for fellow mompreneurs! Plus, there will be treats, prizes, and more! And let me know if you’re coming! I’d LOVE to meet you there! « East Coast Road Trip: Our Last Day! Can’t wait! It will be so neat to meet you as well! We are big Crystal fans in this house. Oh fun! I’m glad you’re coming! I love Nashville & so wish I could come but I am in Colorado. Will you be sharing any of the content in any other format? If you go to the Rise & Rally Facebook Page, they are supposed to be live-streaming the event! Bummer! I just saw this in my junk mail inbox. How did it go and are you going to have another one soon? It went great! I know that the woman coordinating these is planning to have them monthly, but it will be different speakers each time!